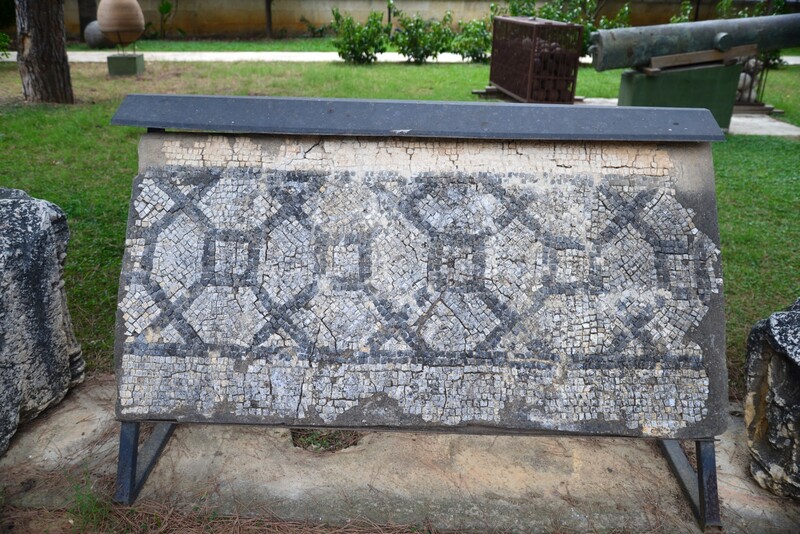 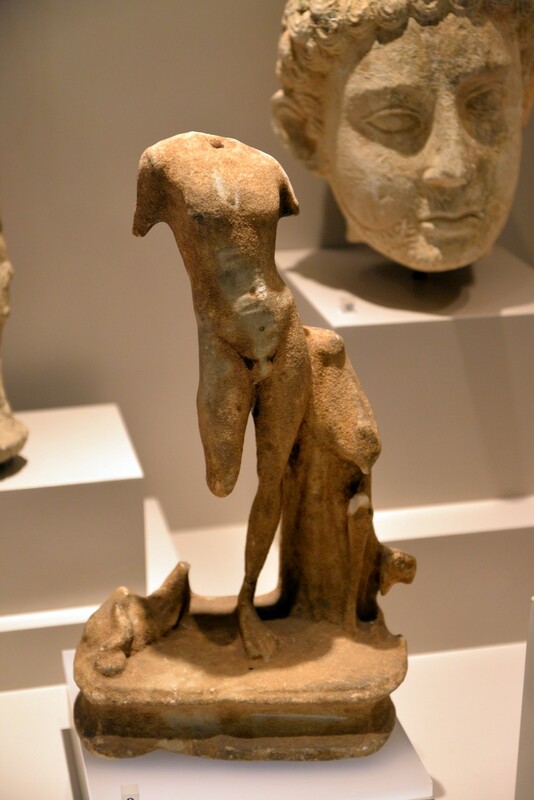 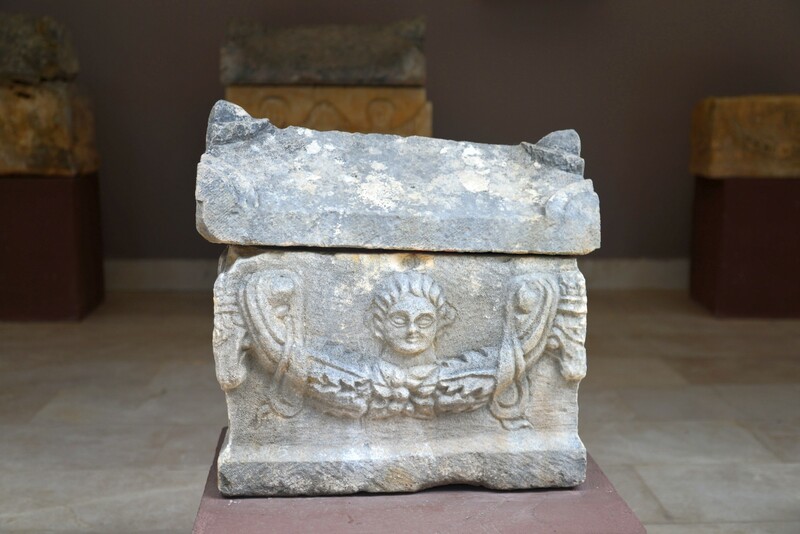 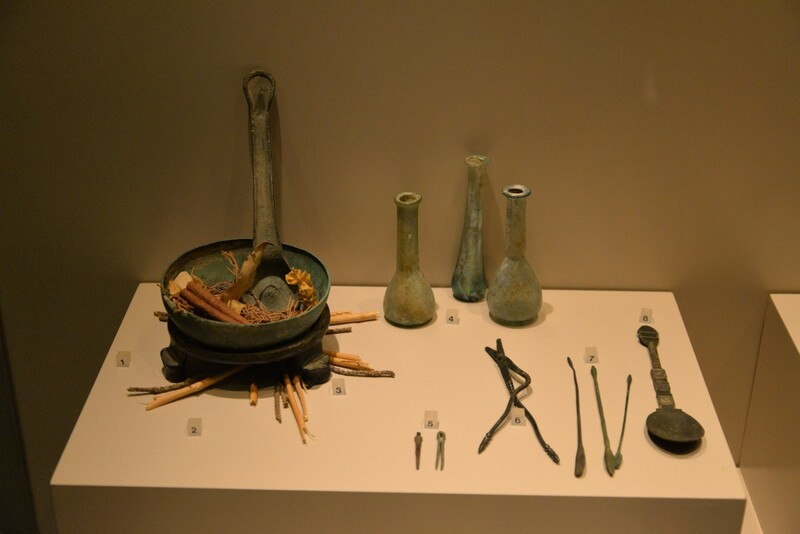 A visit to the Archaeological Museum in Alanya may be a very pleasant surprise. 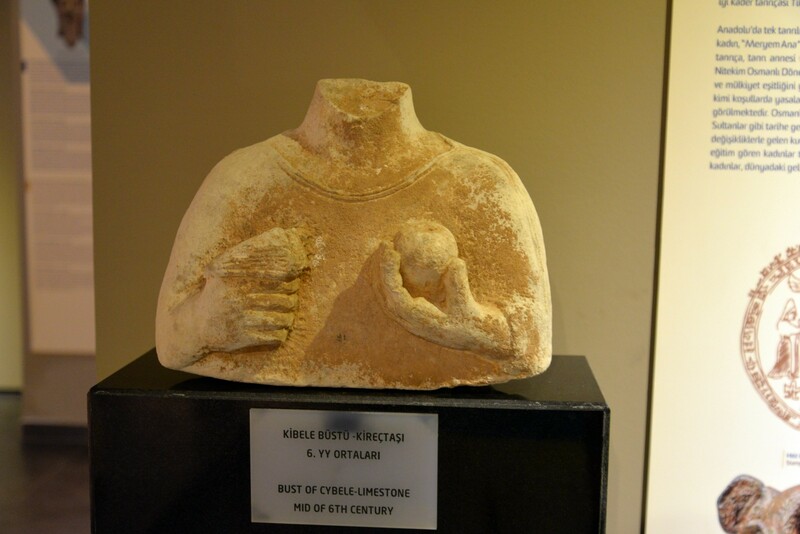 Who would expect such an interesting and well prepared museum in the center of Turkey's chief vacation resort? 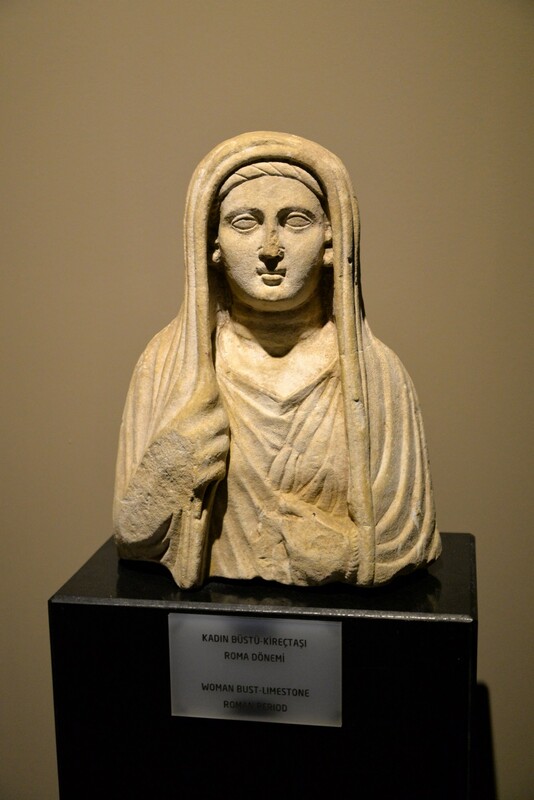 There are many neglected and dusty museums in Turkey, to mention the venue in Kayseri and Ürgüp in Cappadocia as examples only. 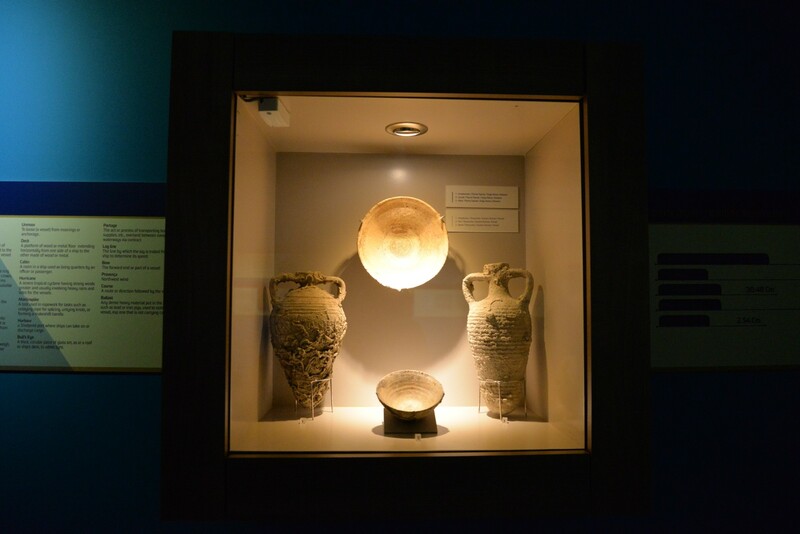 However the Archaeological Museum in Alanya is worth the highest praise as its exhibitions actually encourage the holidaymakers to undertake a more in-depth exploration of Alanya area and to learn more about its history. 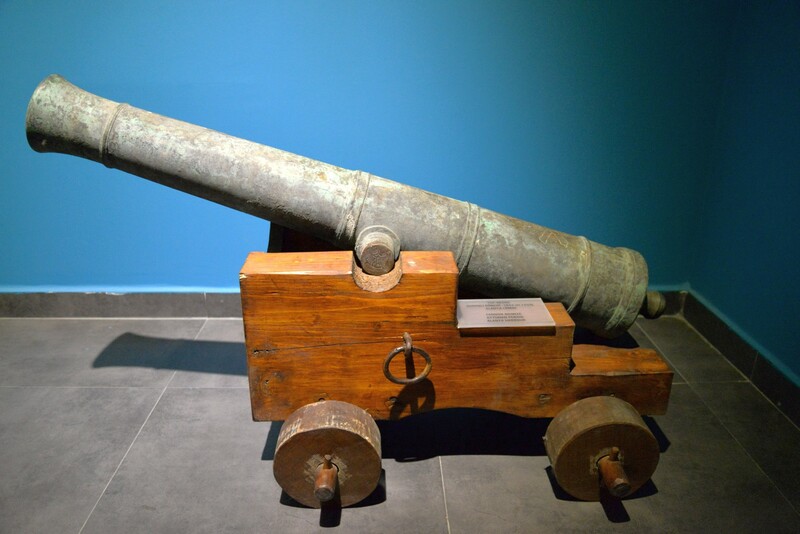 If you have an hour or two during your holidays in Alanya make sure you spent this time visiting this museum and you will certainly not regret a single minute. 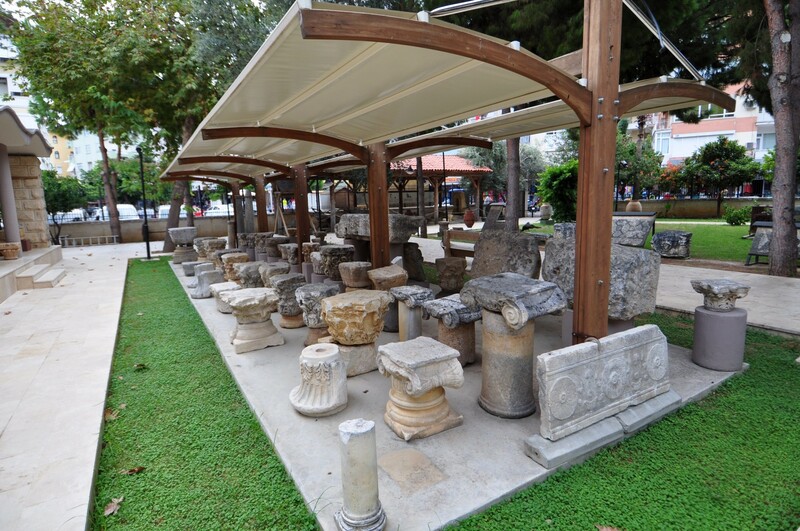 Archaeological Museum in Alanya has been operating since 1967, when it was decided to show the finds gathered in the region of the city to the tourists. 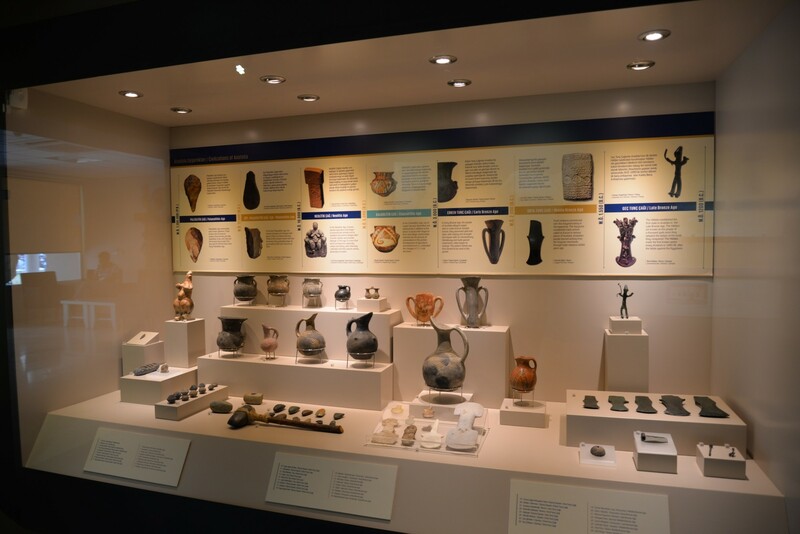 In addition, to make the facility even more attractive, some exhibits were brought from the Museum of Anatolian Civilizations in Ankara. 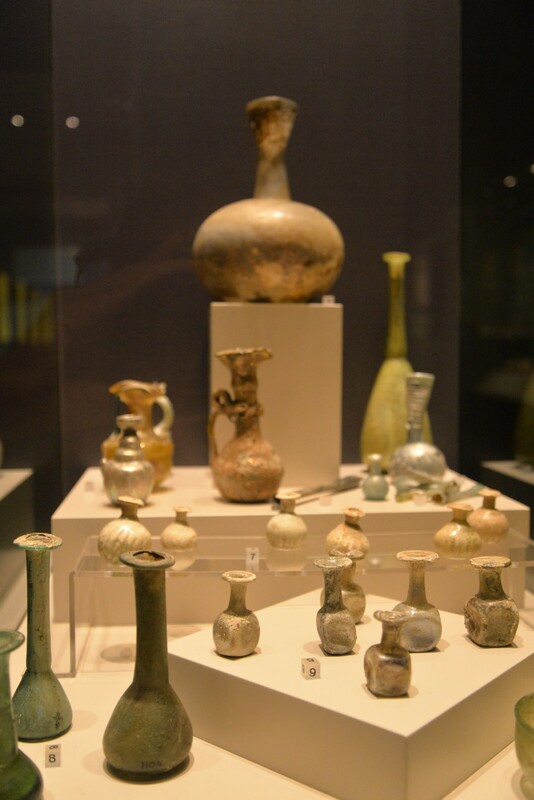 The goal of the venue is to familiarize the visitors with the rich past of Asia Minor. 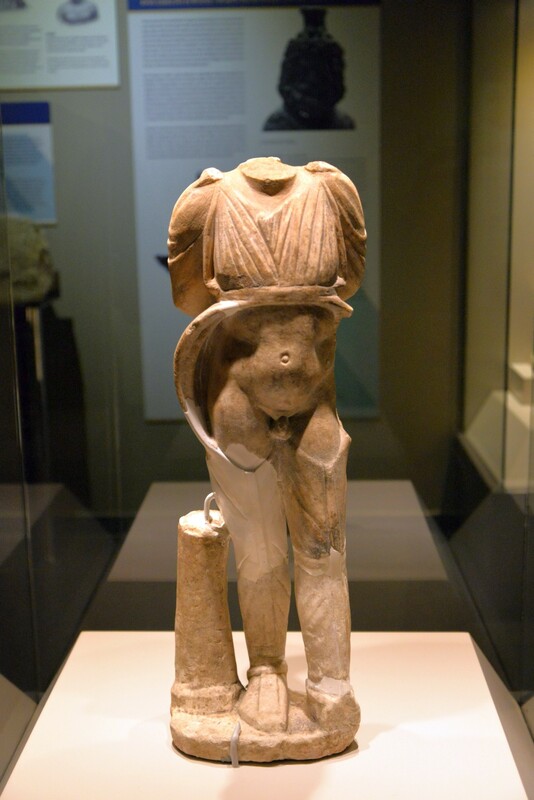 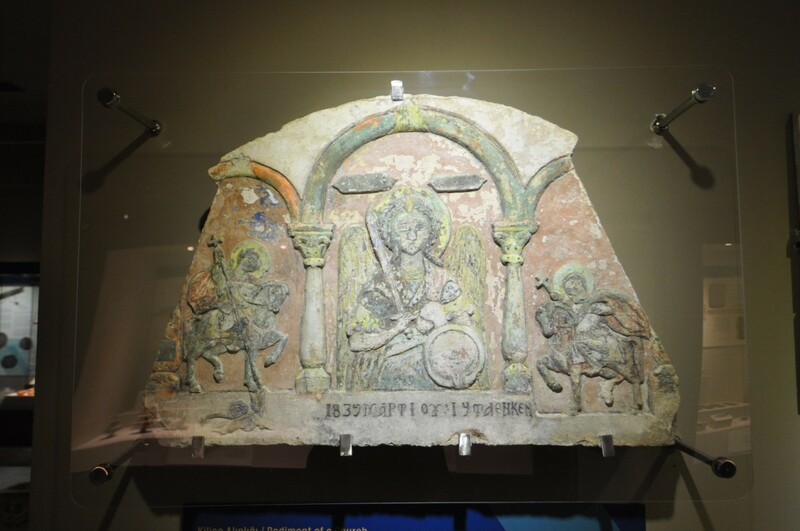 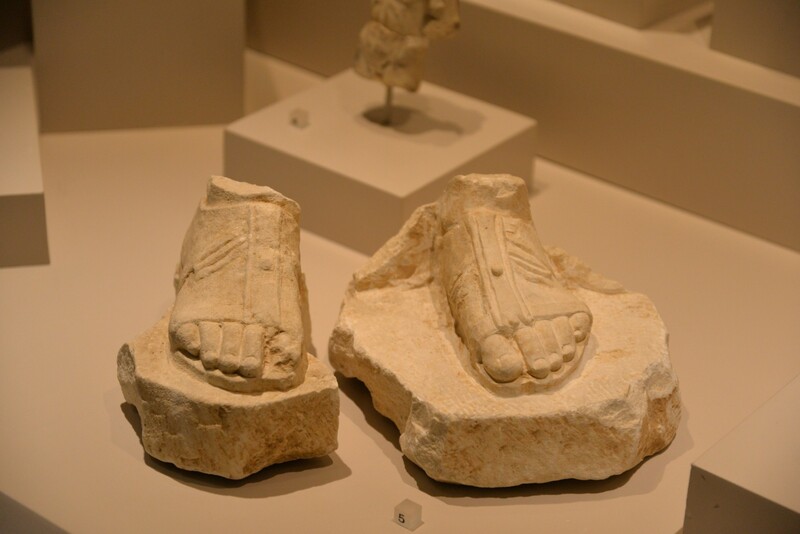 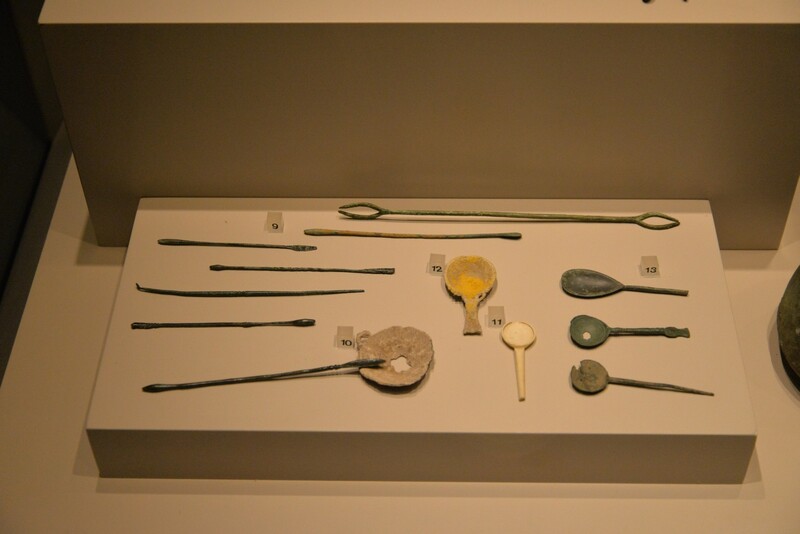 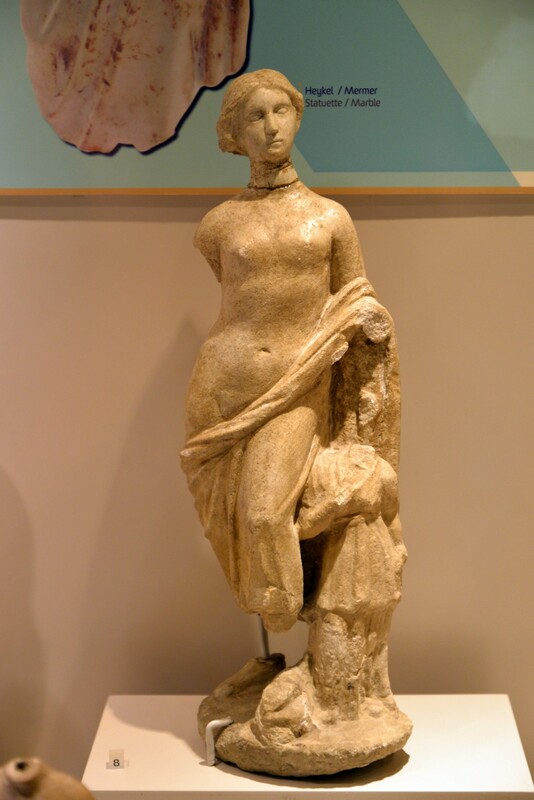 The artifacts displayed come from various locations around the county, including the state of Urartu, Phrygia and Lydia. 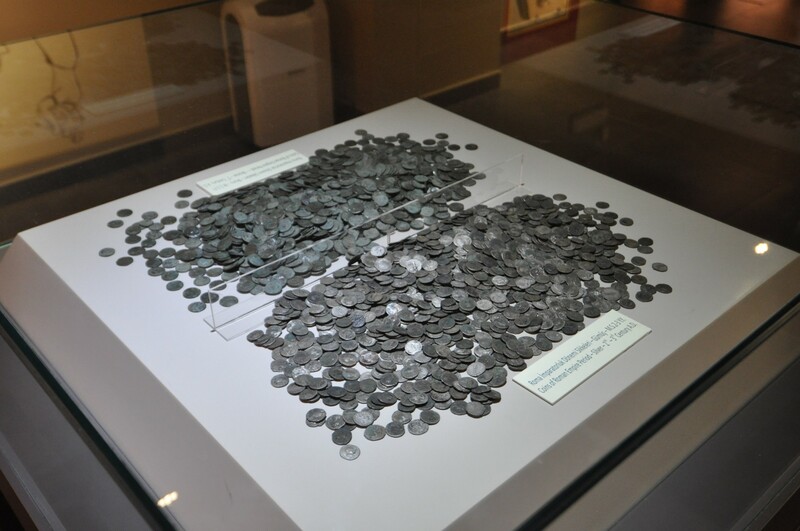 In 2012 the museum was completely renovated and is now a thoroughly modern facility. 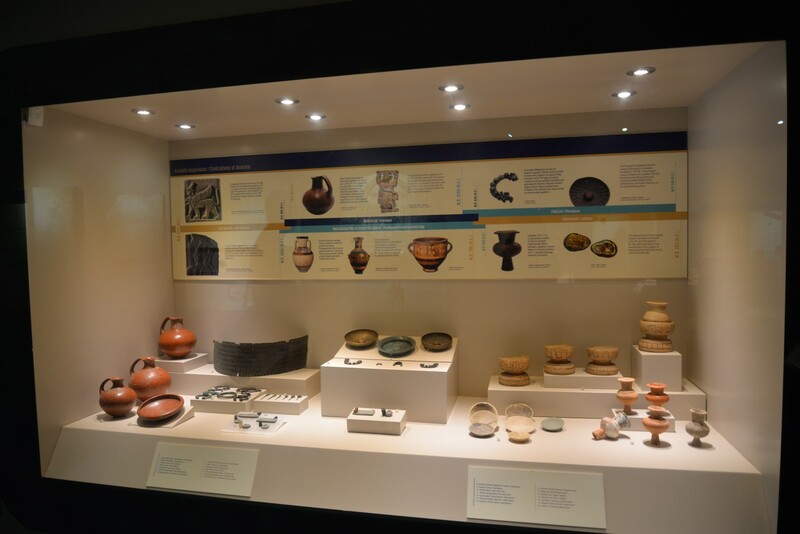 It is clearly visible that the management of this place has an excellent approach to the presentation of such difficult and potentially boring subjects as archeology and history to the general audience. 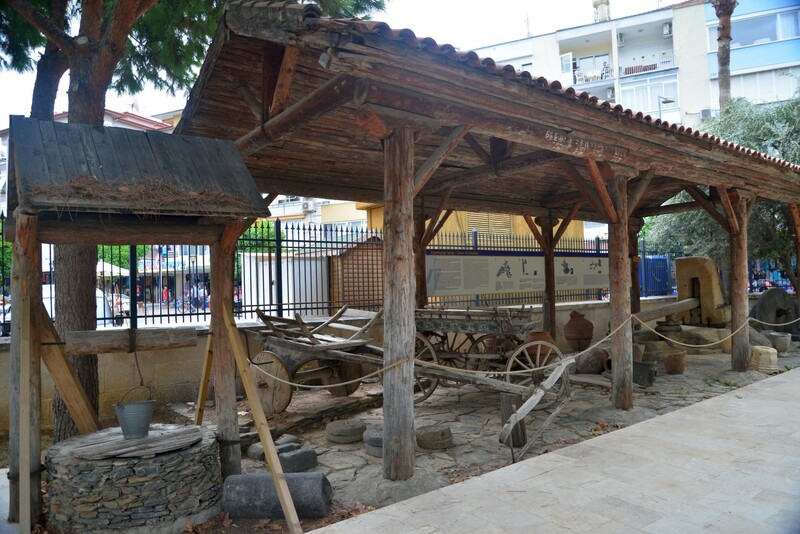 The museum is divided into several thematic sections and many objects have been exhibited in the museum garden which you absolutely cannot miss when visiting. 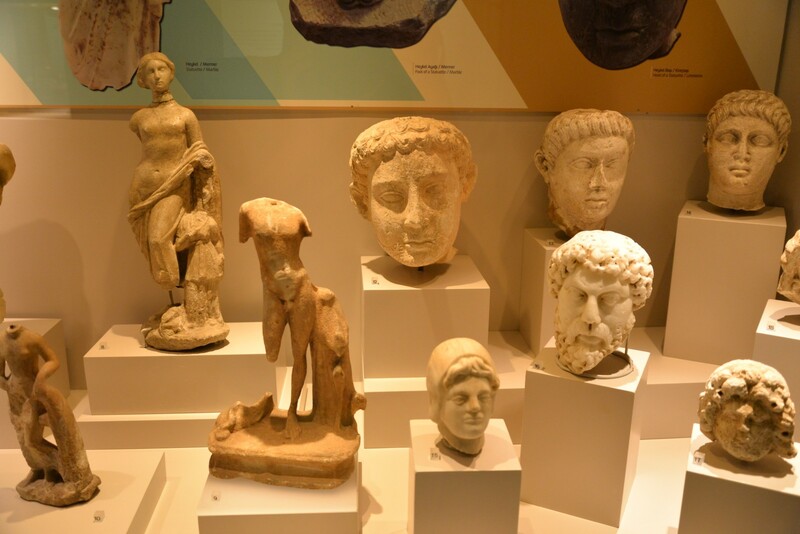 There is also a special playroom for children, where the youngest can spend time reading illustrated historical booklets or trying to solve archaeological puzzles. 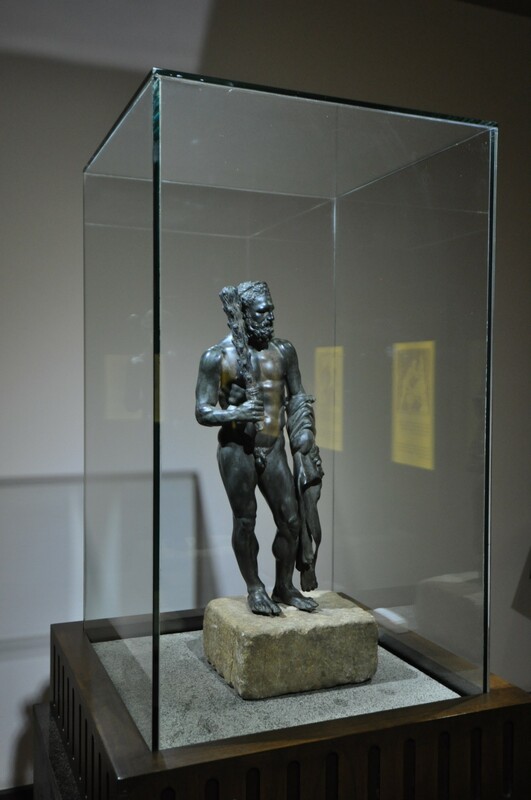 The first showcase you can see when entering the exhibition hall presents ancient civilizations of Anatolia from the Paleolithic, through the Chalcolithic to the Bronze Age. 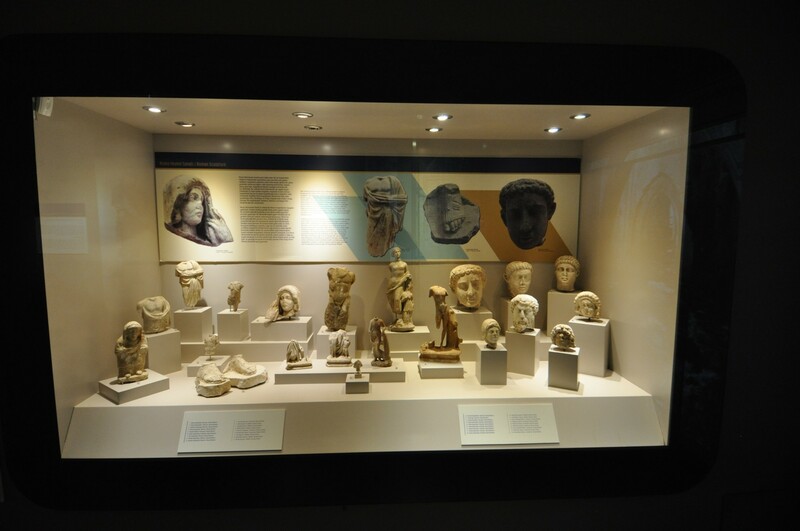 Another showcase is dedicated to the Hittites, the Urartians, the Phrygians and the Lydians. 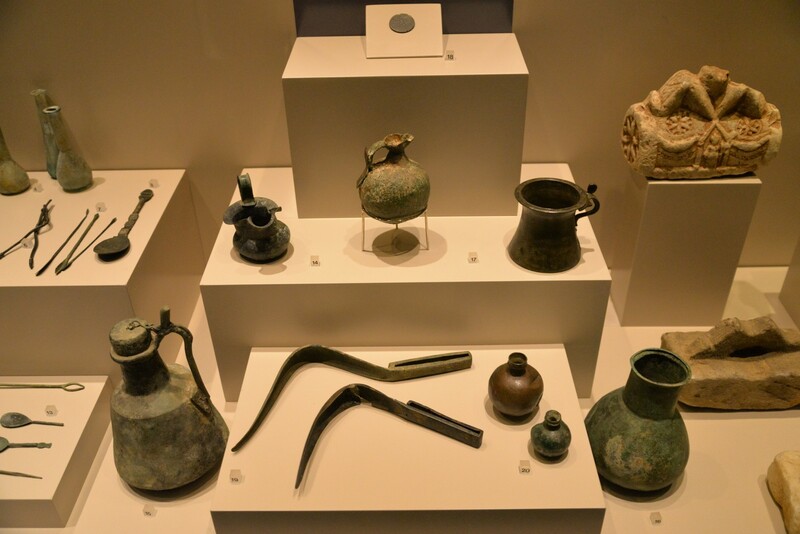 The exhibits are mainly the items brought to Alanya from Ankara, and discovered at various archaeological sites scattered throughout Turkey. 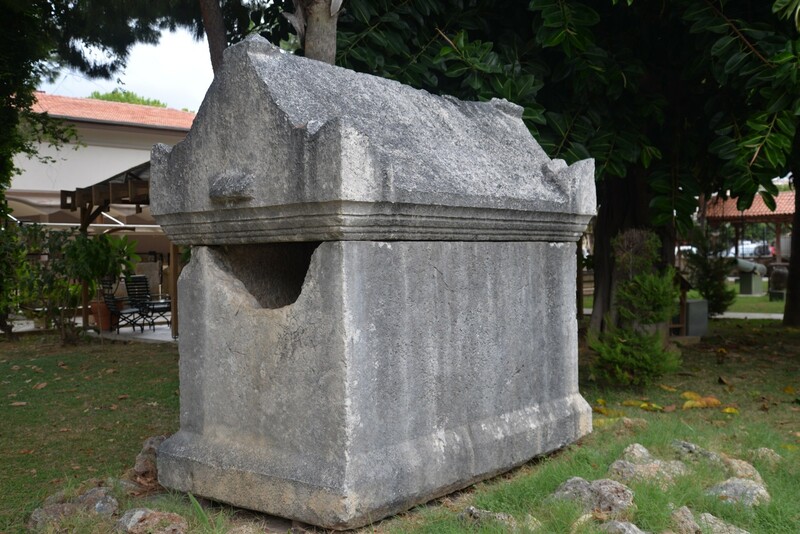 Just opposite these cabinets there are inscriptions and ornaments from the Hagios Georgios church, which until 1923 belonged to the Orthodox Greeks living around Alanya. 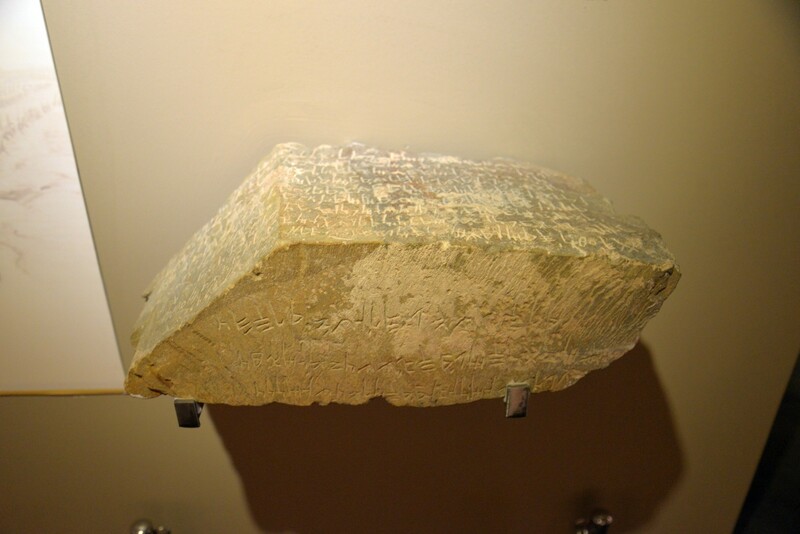 Pay attention to an inscription in a language known as Karamanlı, which was used by a group of Christians from the territories of the Ottoman Empire. 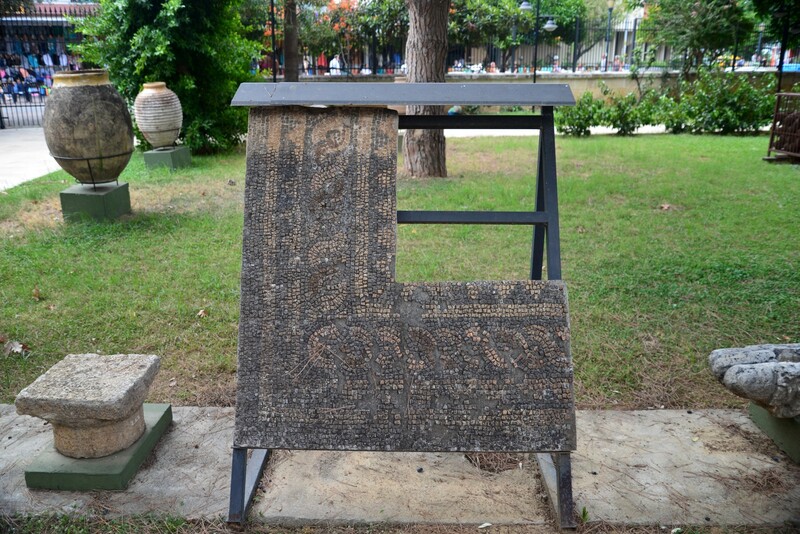 It was a dialect of Turkish written in the Greek alphabet. 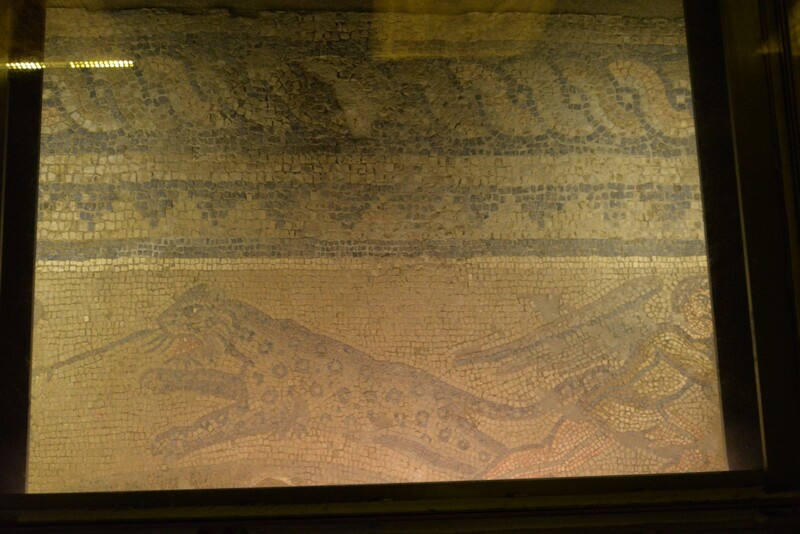 Further on there is the central exhibition hall of the museum. 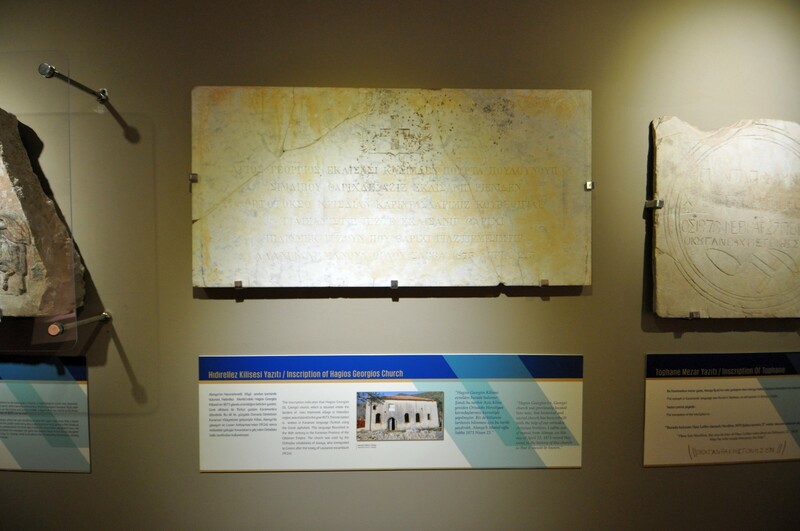 One of the most important artifacts displayed here is an inscription in the Phoenician language. 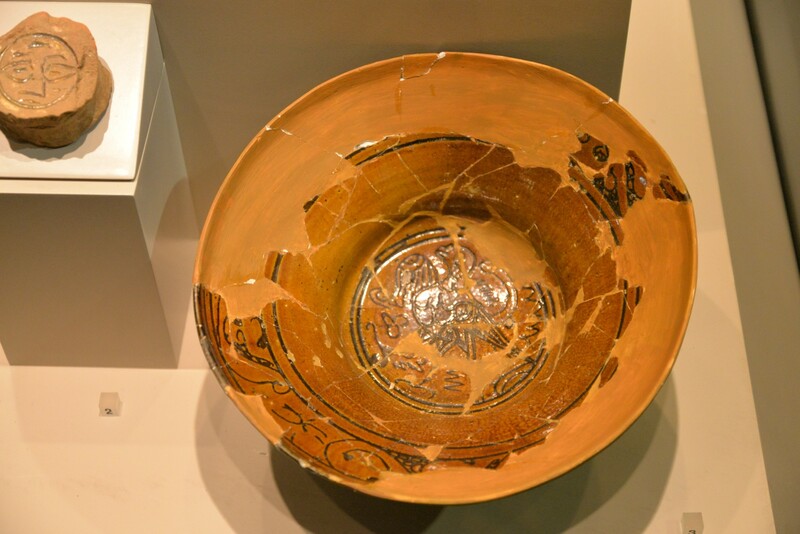 It was found in the ancient city of Laertes and dated to the end of the 7th century BC. 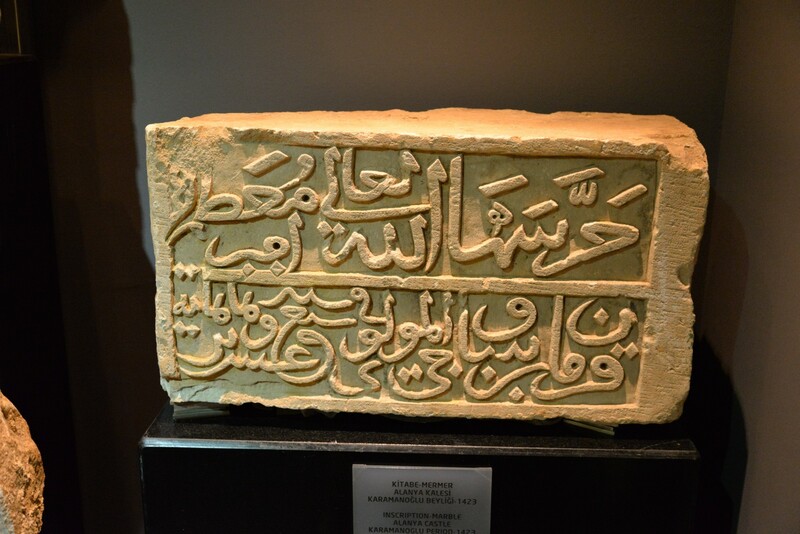 The inscription is carved into a block of gray stone, with writing on three sides. 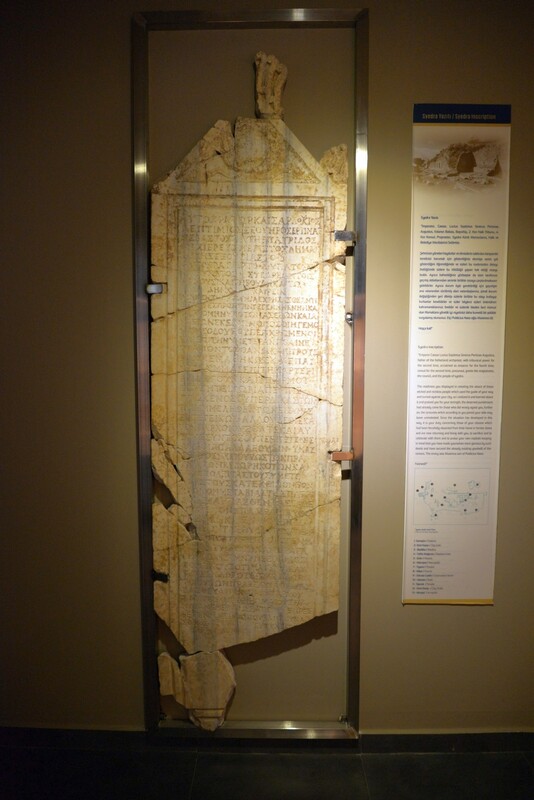 It records a land grant made by a local governor to one of his servants and describes certain problems arising from it. 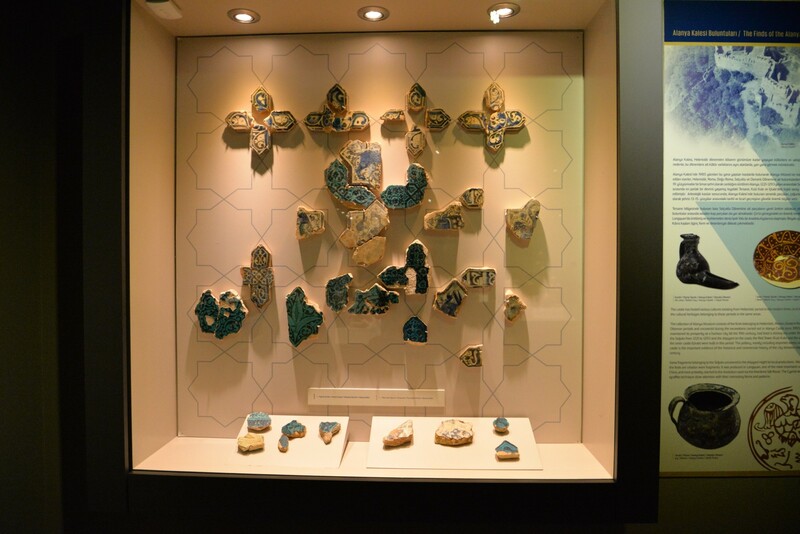 Along one of the walls the chronological overview of Anatolian civilizations is continued. 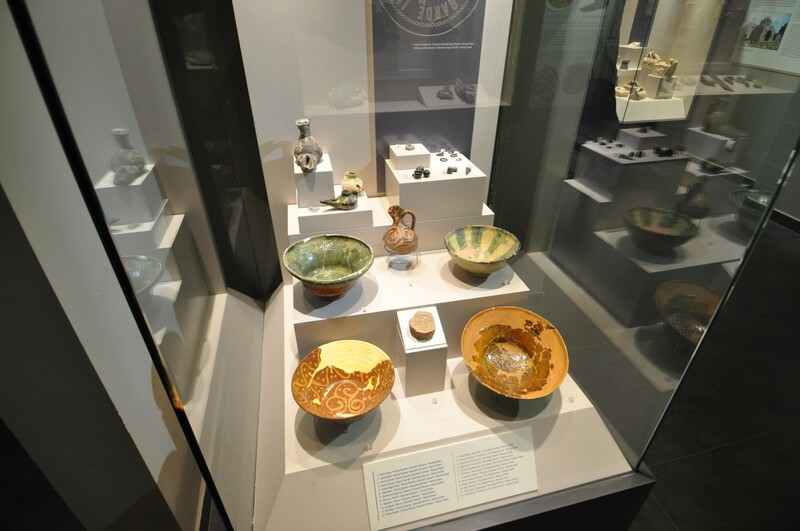 The display cases hold artifacts from the Greek, Roman and Byzantine times. 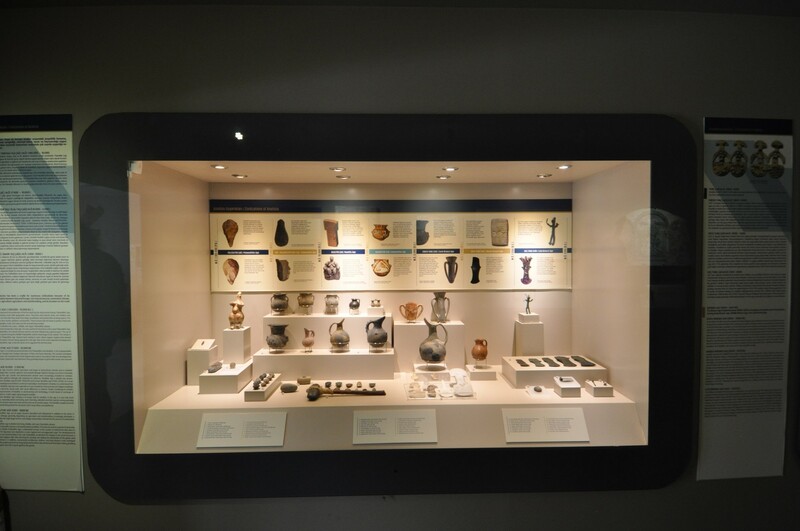 Other cases display the items grouped thematically, including terracotta figurines, pottery, glass objects, lamps and jewelry. 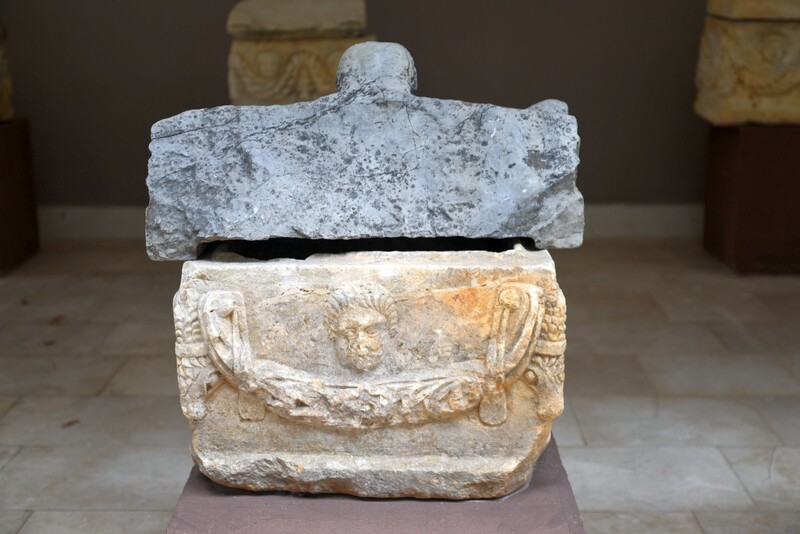 Moreover, in the same room there are many sarcophagi and ossuaries i.e. 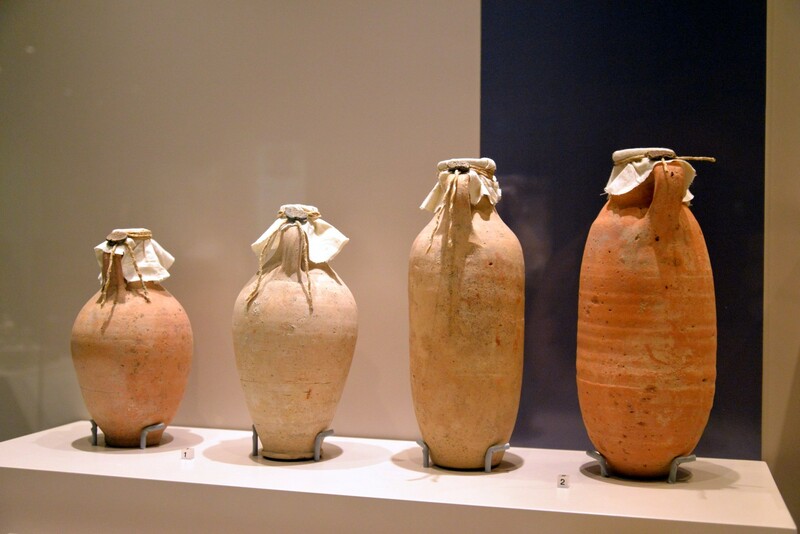 the containers for the ashes or bones of the deceased, as well as several statues from the Roman period. 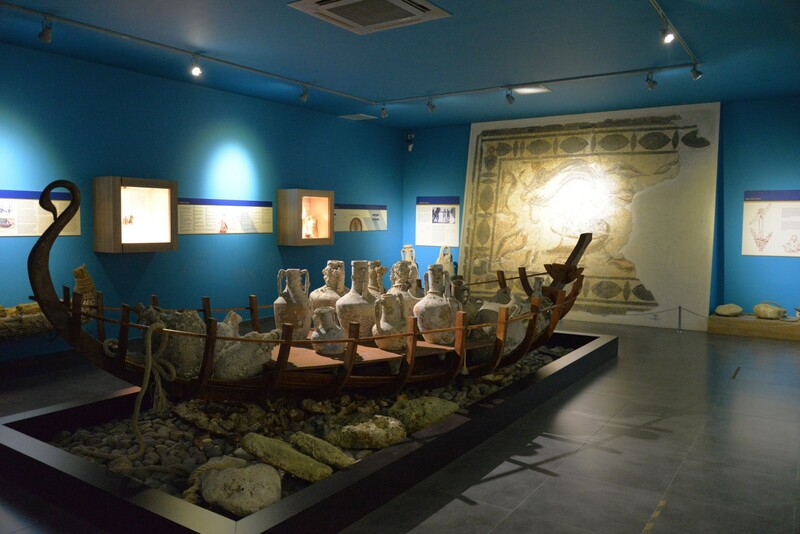 A separate room of the museum explores the nautical theme. 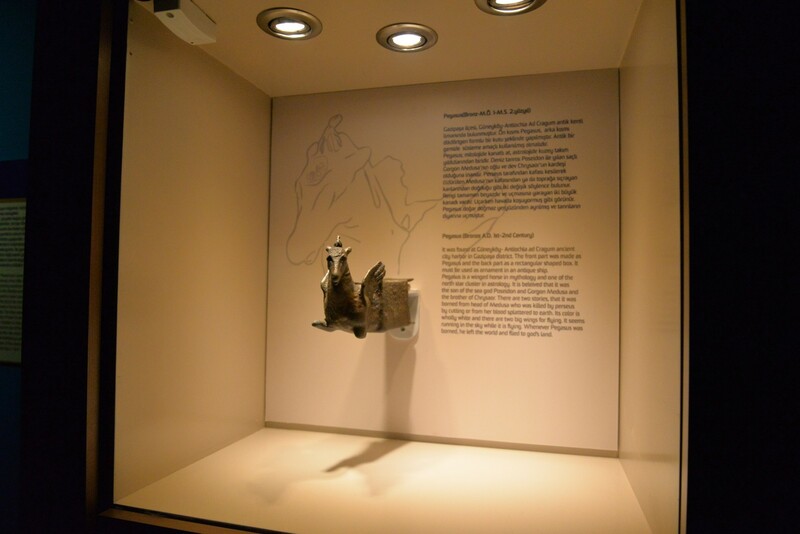 At its center a full-size model of the ship used to transport goods such as wine or olive oil stands. 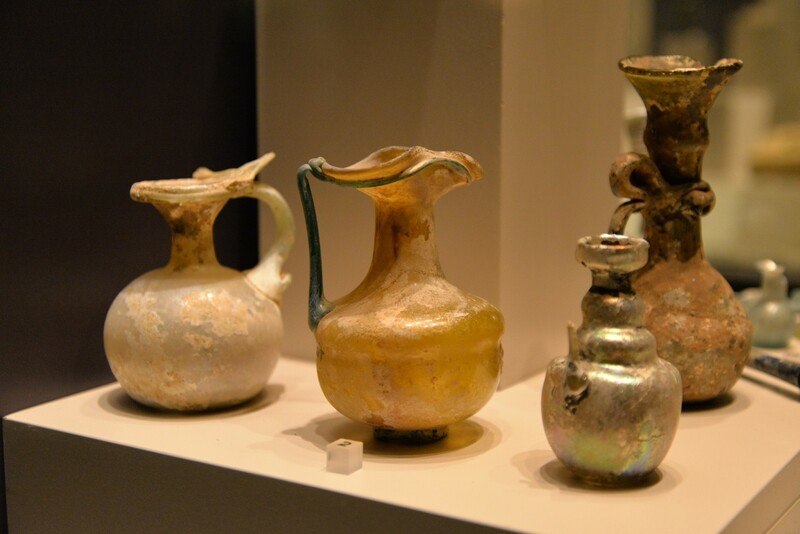 It is loaded with ancient amphorae found by the divers in the Mediterranean seabed. 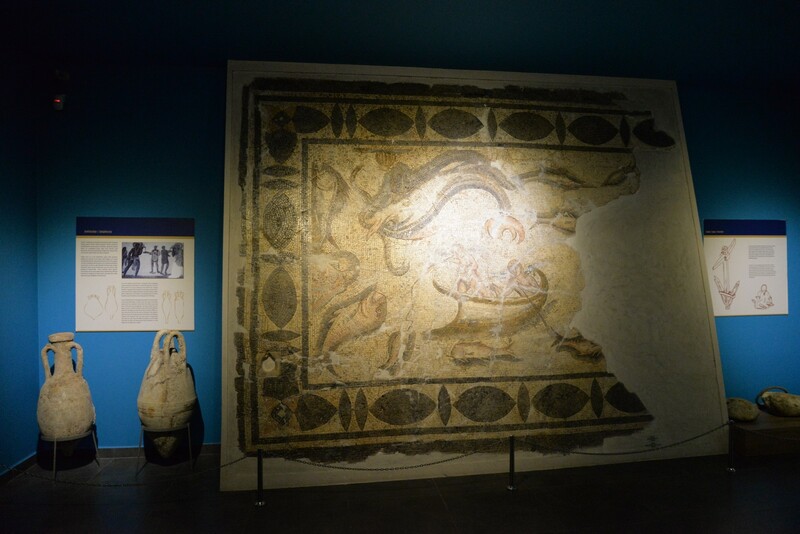 In accordance with the main topic of this hall, the other exhibits include: a marble frieze depicting sailors, found in the ancient Selinus, an enormous antique mosaic showing a rowboat, some fish and sea monsters as well as an Ottoman cannon from Alanya harbor. 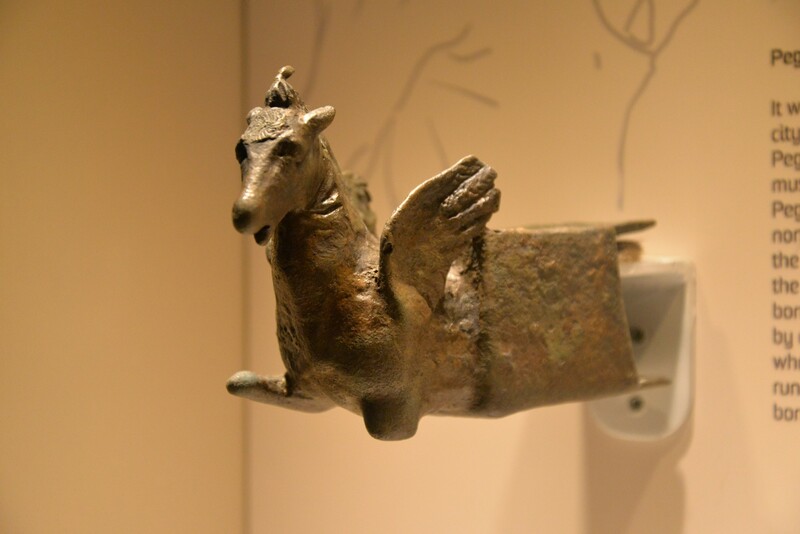 Another object, very loosely connected with the subject of shipping, is a bronze box with its front decorated with a sculpture of the mythological winged horse Pegasus. 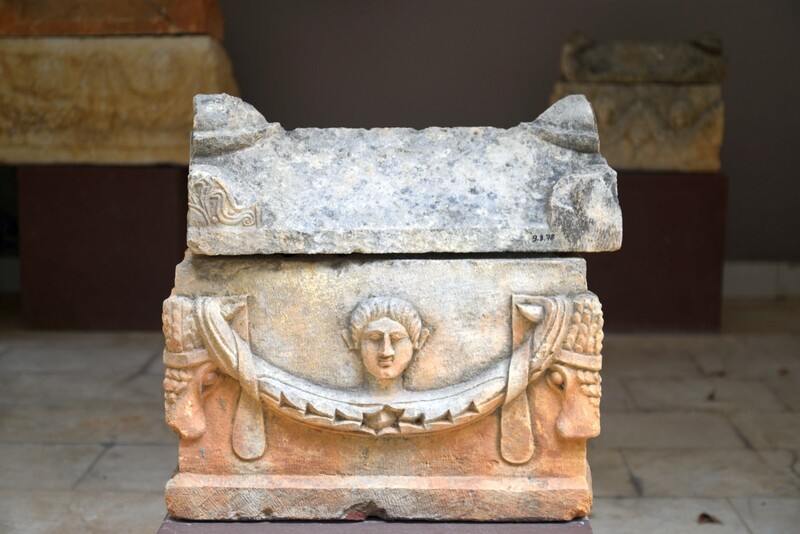 This beautifully crafted object, dating back to the 2nd century BC, was found in the ancient port city known as Antiochia ad Cragum. 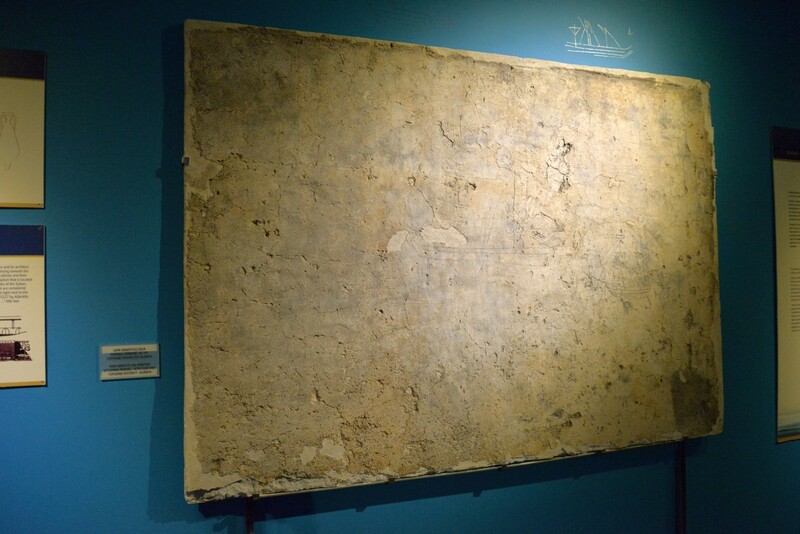 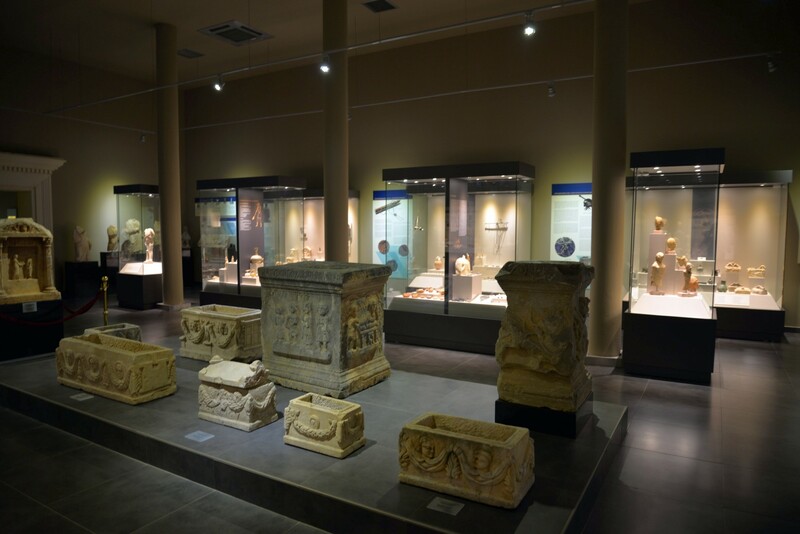 The last of the exhibition halls contains an object that is considered to be the symbol of Alanya's Archaeological Museum. 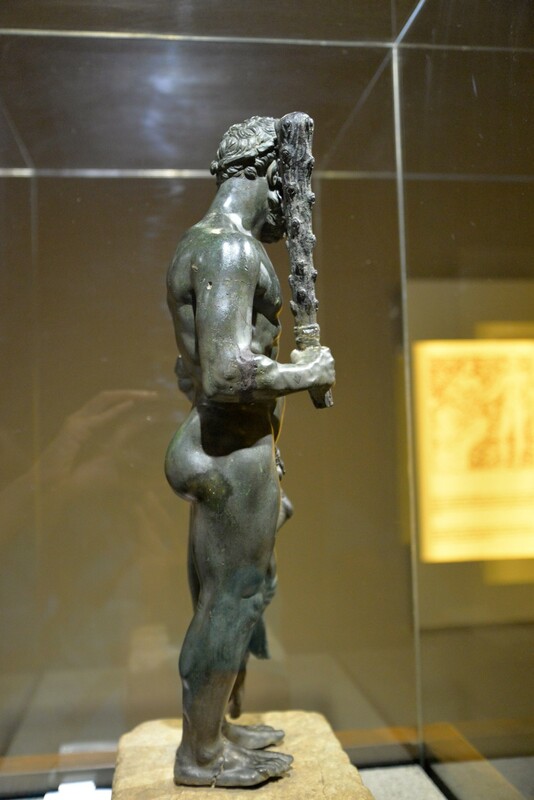 It is a bronze statue of Hercules from the 2nd century AD, very well preserved. 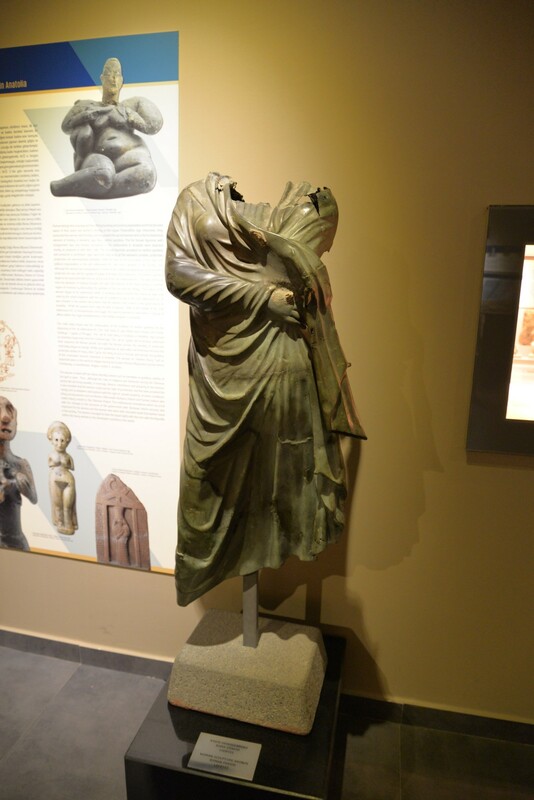 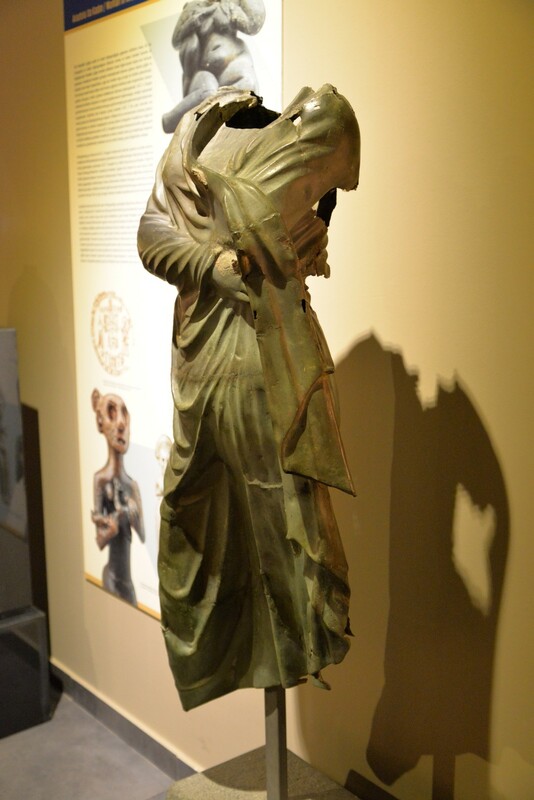 This 52-cm-high statue was accidentally found in the area of ​​Alanya and the authorities managed to prevent its illicit export from Turkey. 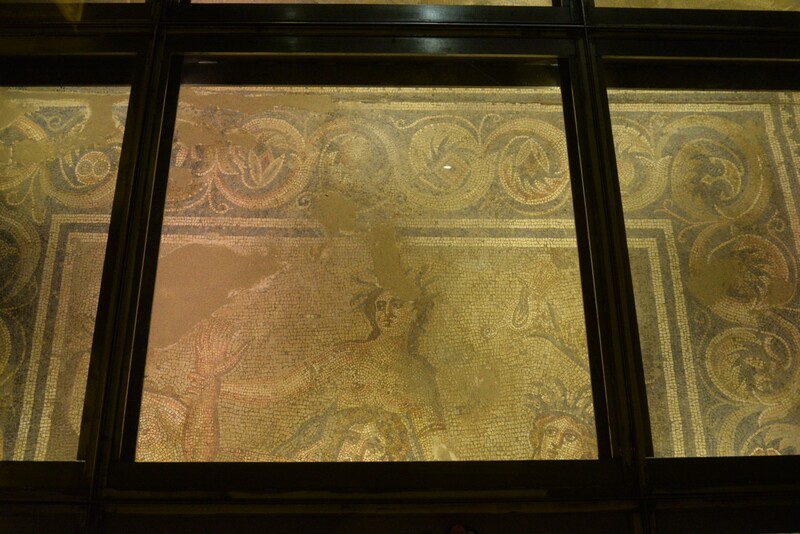 The floor in this room is covered with glass that protects so-called Hylas Mosaic. 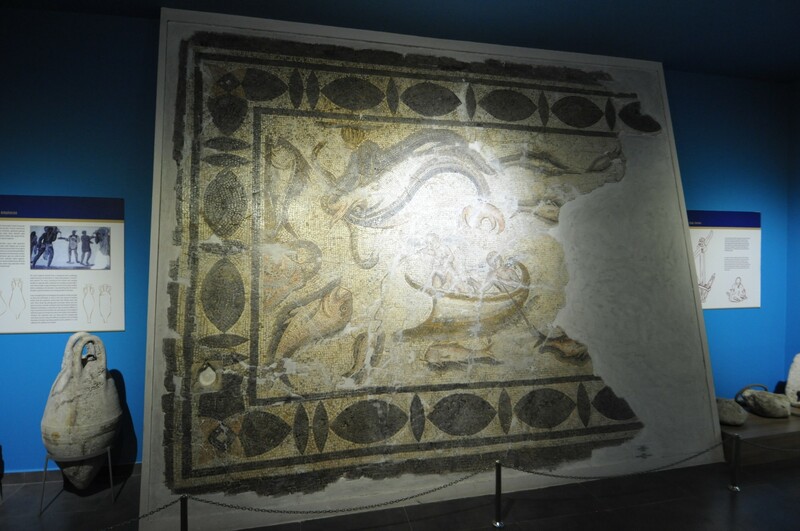 This mosaic depicts a scene in which Hylas (a companion of Hercules) is taken captive by water nymphs. 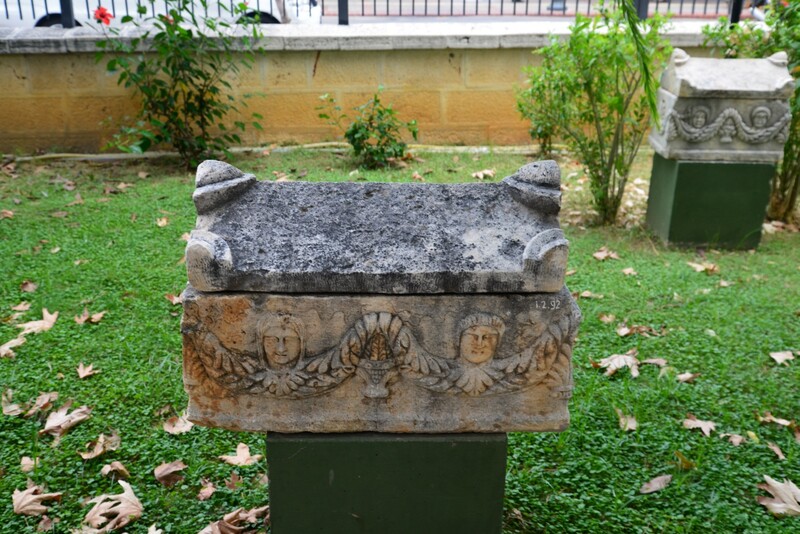 The garden of the museum is a nicely arranged place where peacocks stroll stately among the trees and shrubs. 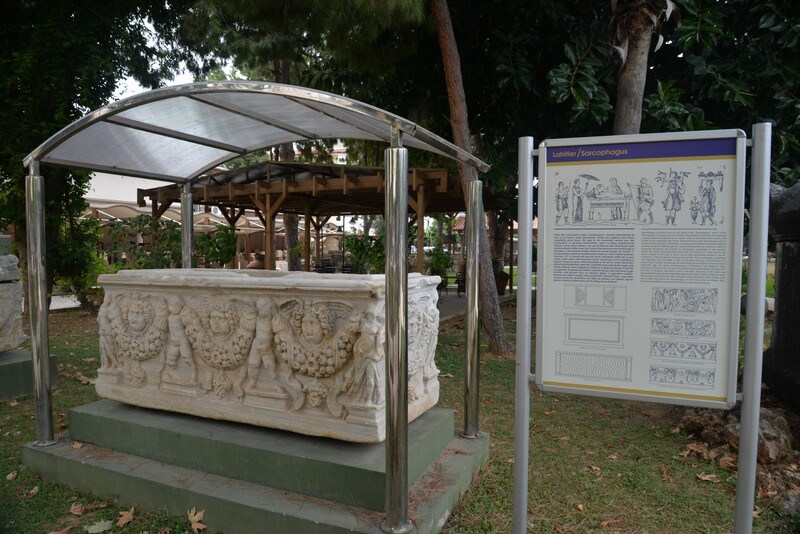 This open-air gallery features Roman-era ossuaries which make up an important part of the museum's collection. 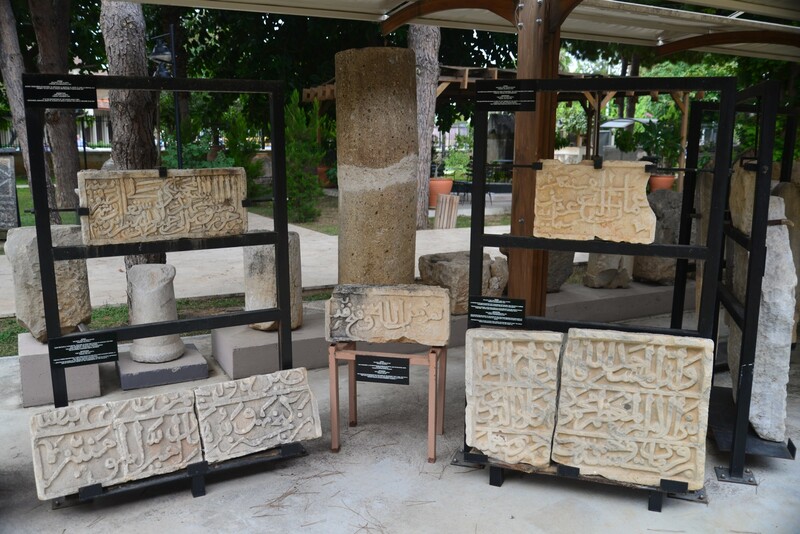 Also on display are Roman column capitals, Islamic gravestones and inscriptions from the Seljuk, Ottoman and Republican periods. 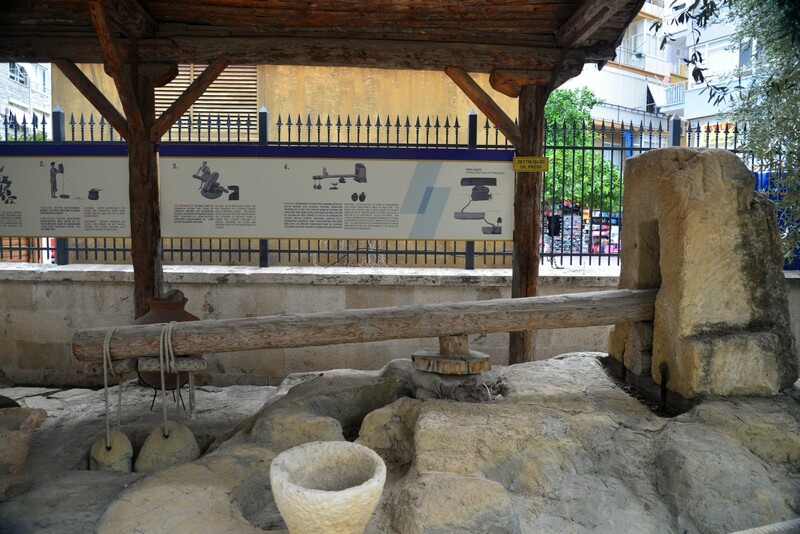 In one corner of the garden the traditional agriculture practices are explained and Roman agricultural implements and machines for the production of olive oil are displayed. 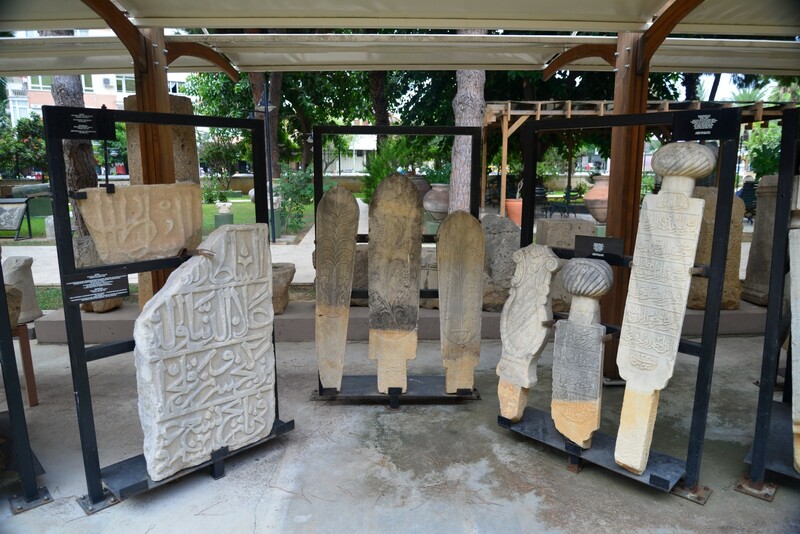 The museum is in the center of Alanya, on İsmet Hilmi Balcı street, opposite the Tourist Information Office and very close to Damlataş Cave and Cleopatra Beach. 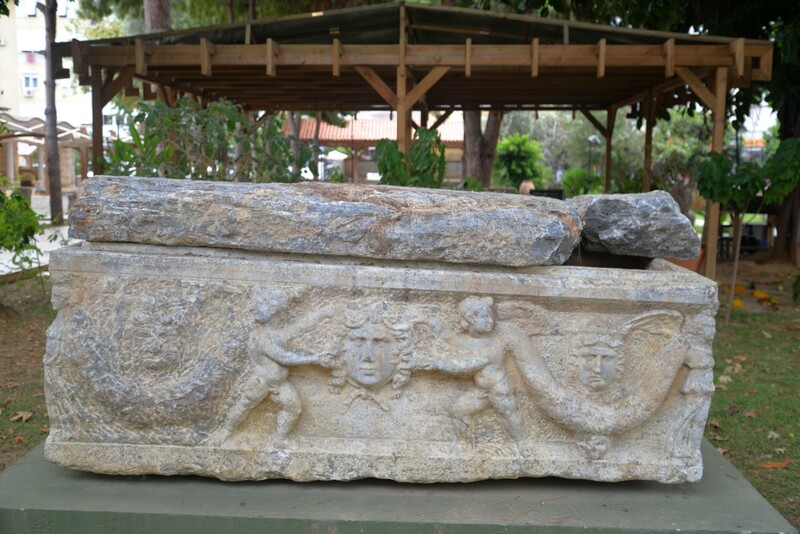 Archaeological Museum in Alanya is closed on Mondays. 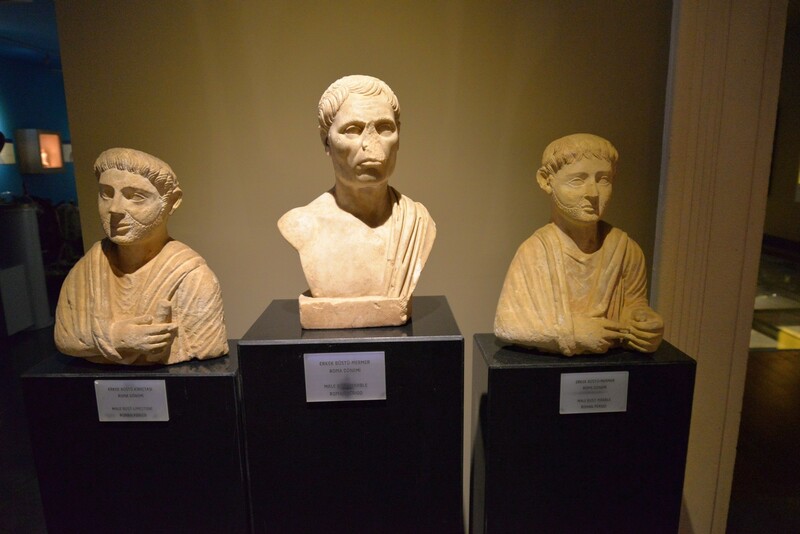 In summer (April-October) it is open from 9am to 7pm and in winter (November-March) - from 8am to 5 pm. 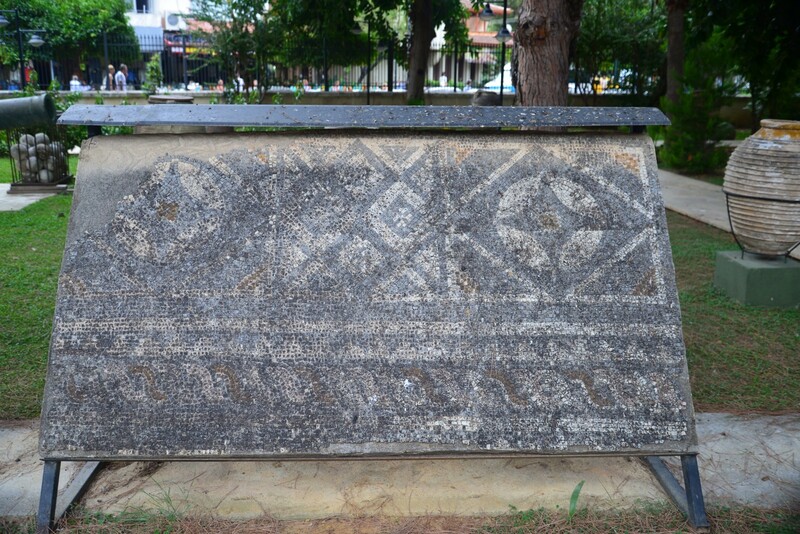 The ticket costs 5 TL. 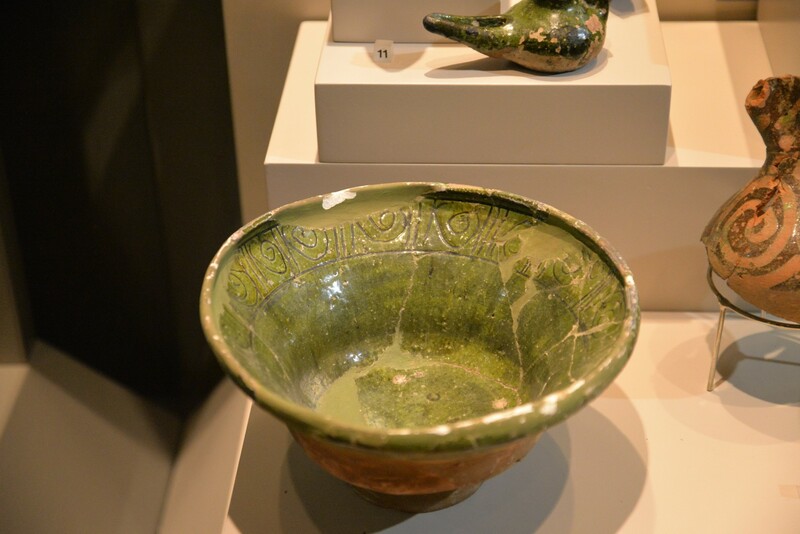 The exhibits are very thoroughly described in English and Turkish.